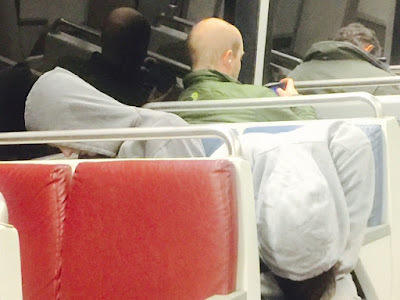 This was a funny photo I took on the Washington, D.C. Metro. The guy in the center seems to be listening to some music, but everyone else is nodding off and has their heads down. End of the year, right before the holidays maybe people are a little burnt out and need to refresh their motivational juices. Anyway, this is not good for the "see something, say something" culture in the age of terrorism that we are living in--these folks are not seeing anything in this groggy state.